Harvey Gentry, a member of the New York Giants 1954 World Series championship team, died July 1st, 2018. He was 92. Gentry made the ball club coming out of spring training and was used exclusively as a pinch hitter, playing with the Giants until the rosters were reduced at the end of April. In his short time with the New York, he batted .250 (1-4) with a walk and an RBI. His time in the major leagues, while short, fulfilled the continuation of a family legacy. 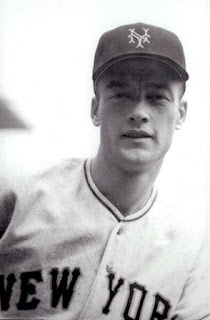 His older brother Rufe preceded his big league sojourn, pitching for the Detroit Tigers from 1943-1948. As the elder Gentry foiled American League hitters, Harvey served in World War II. Gentry was a member of the United States Navy from 1944-1946, earning recognition from President Roosevelt for his meritorious service. Upon his discharge from the military, Gentry signed with the Giants in 1947. He spent 10 seasons in professional baseball, primarily with the Giants farm clubs. His best minor league season came in 1953, when he batted .294 with 15 home runs and 73 RBIs for the Class AA Nashville Volunteers. After retiring from baseball, Gentry worked as a supervisor for Raytheon in Bristol, Tennessee from 1958-1989. In 2004, he was recognized by the New York Giants in a ceremony celebrating the 50th anniversary of the Giants World Series victory. 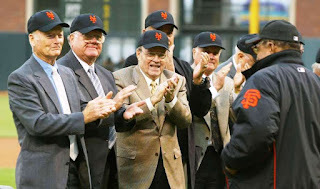 Gentry's passing leaves only six living members from the Giants 1954 championship team, including the legendary Willie Mays.